Our bankruptcy attorneys can help you get back on your feet. At Ruff & Cohen, P.A., you will find an established and dedicated legal team with over 60 years combined bankruptcy law experience. We understand how overwhelming being in debt can be - but we are here to help. We work tirelessly to provide cost-effective solutions for our clients. Whether you are looking to file a Chapter 7 "fresh start" bankruptcy, a Chapter 11 to save your business, a Chapter 12 to save your farm, or a Chapter 13 case to reorganize your debt, we can help you take control of your financial future. Our goal is to do everything we can to help alleviate your stress and improve your financial condition. You will find that we are very organized and thorough. We invite you to research our firm and lawyers on the Internet. 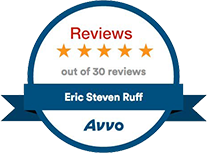 Read the reviews of other people who chose Ruff & Cohen for bankruptcy representation. 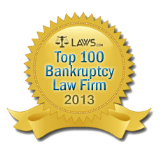 You can expect first-rate bankruptcy representation from this law firm. We have offices in Gainesville and Jacksonville to serve you.